Skye Gravestones | Donald & Jane (Macintosh) Macrae & family. Donald & Jane (Macintosh) Macrae & family. 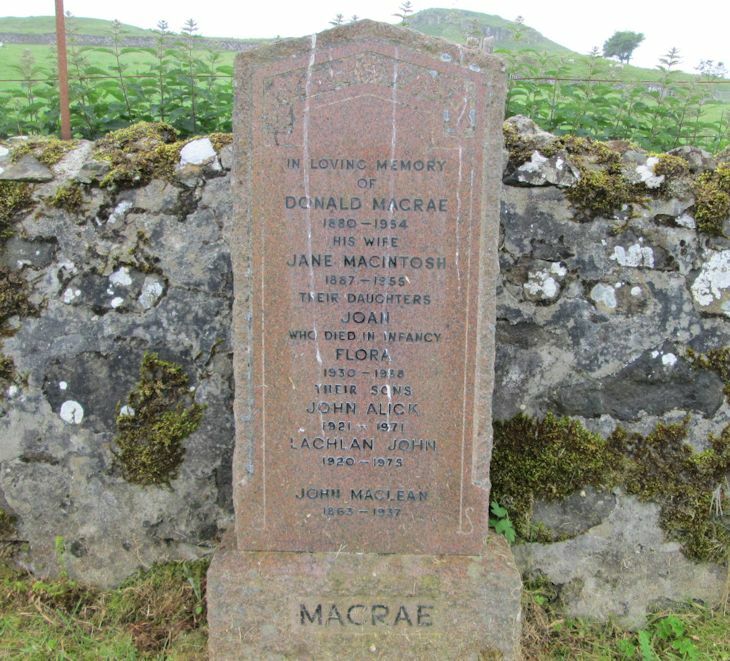 In loving memory/of/DONALD MACRAE/1880-1954/his wife/JANE MACINTOSH/1887-1955/their daughters/JOAN/who died in infancy/FLORA/1930-1938/their sons/JOHN ALICK/1921-1971/LACHLAN JOHN/1920-1975/JOHN MACLEAN/1863-1937.